The prostate is a walnut-sized gland found only in men. The prostate grows naturally with age, usually without issues. But for some men, the enlarged prostate compresses the urethra, thus making urination difficult and can go on to cause benign prostatic hyperplasia (BPH). Men who develop prostate conditions know all too well how uncomfortable it can be. The enlargement of the prostate can lead not only to painful urination, difficulty sleeping (because of night trips to urinate), but also to erectile dysfunction and even cancer. It has been estimated that over the age of 50 a man has a 50% chance of developing some degree of BPH and that its incidence rises to 80% for those over the age of 80. It is therefore clear that something like 4MU-Pro™ could offer hope to millions of men, to help prevent, slow and perhaps even reverse numerous prostate issues. Human trials are ongoing to understand better the role of 4MU in various prostate conditions and to evaluate the dose that is most effective etc. IAS will report back on this in due course, including those from leading physicians and the results of the treatment of their patients. 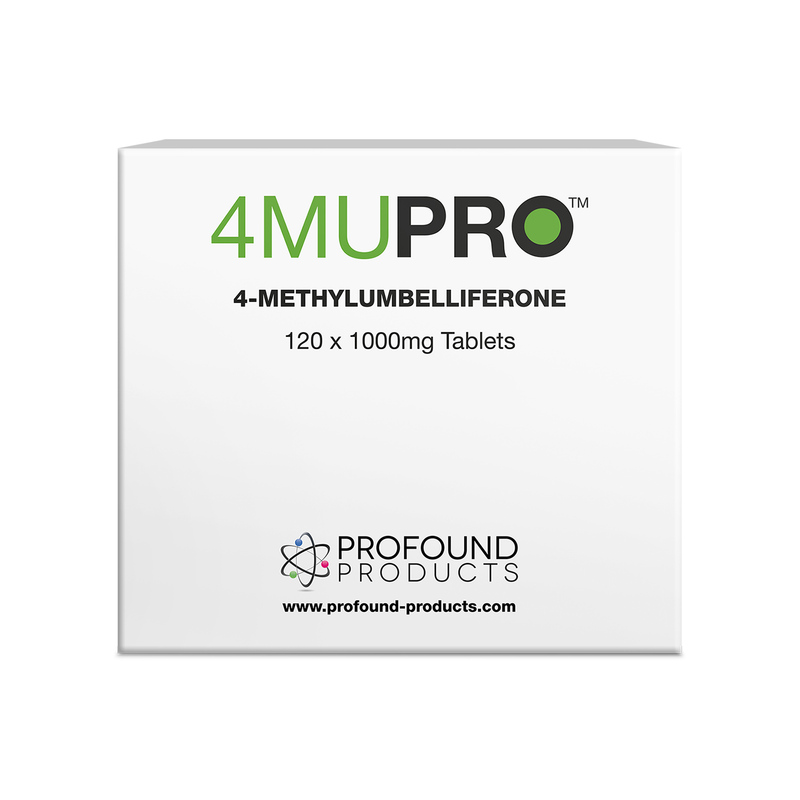 4MU-Pro™ has the highest potency; indeed we believe these are the largest dose tablets currently available at 1 gram each. In general terms, to help to ‘shrink’ the prostate and ‘improve’ PSA levels the current recommendation is one tablet (1000 mg) three times daily. But these doses are open to amendment under the close personal supervision of your physician. Dr. Yates et al, 4MU is an effective chemoprotective and therapeutic agent for prostate cancer. J. Nat Cancer Inst., 2015 April 13 (107).